Devin and I met through mutual friends at a party in high school and became instant best friends. About a year later we both finally admitted we had feelings for each other and have been dating ever since. New Years was the night that we shared our first kiss so exactly 10 years later Devin proposed to me on New Years. Each year we take a photo together so he set up the camera on an automatic timer and got down on one knee and asked me to marry him. The NYC skyline is in the background and it was the perfect moment. I said yes, grabbed the ring box and ran to the street light so I could check out my new ring and was so excited to ring in the new year with my fiancé. 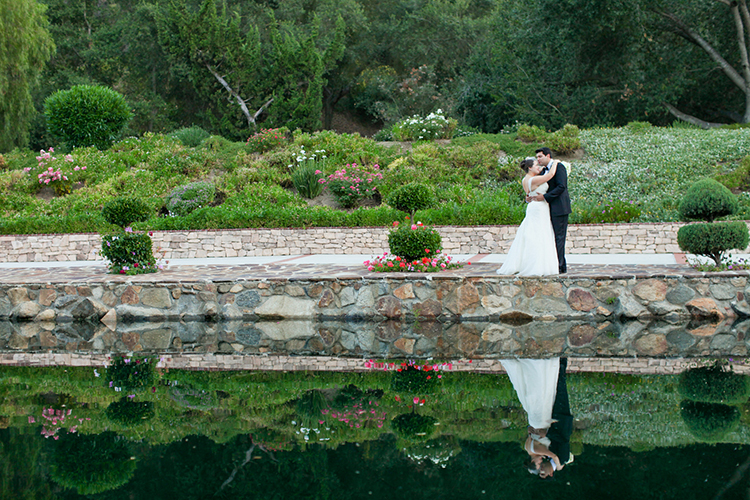 What Made You Choose Los Willows For Your Wedding Venue? 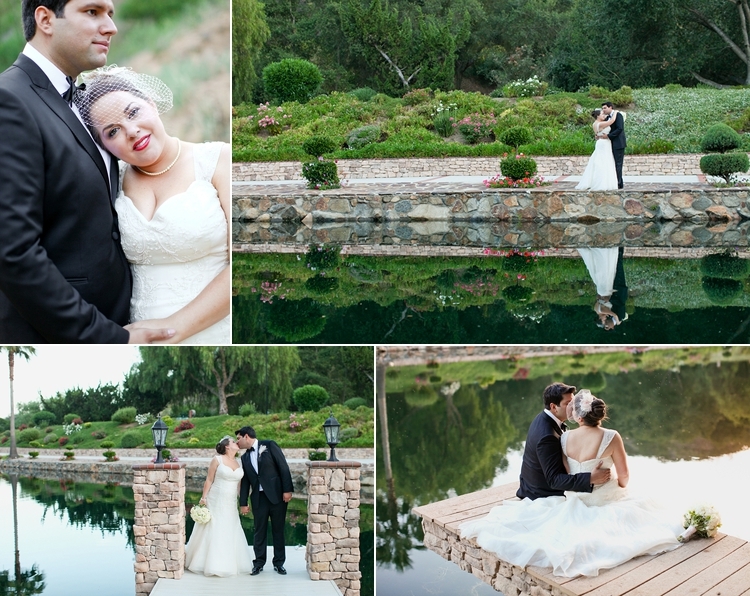 Funny enough I never saw Los Willows in person before booking our Temecula valley wedding there. I had flown out from NJ, where we were living at the time, to look at wedding venues and just wasn’t finding what I wanted. I wanted something private, where we wouldn’t have onlookers but wanted to be outdoors. My mom went and toured the wedding venue, sent me the photos she took and I fell in love and told her to book it. I loved how we would be the only wedding taking place that day, that it was private but romantic with the lake and had a tented pavilion with the most amazing chandelier. 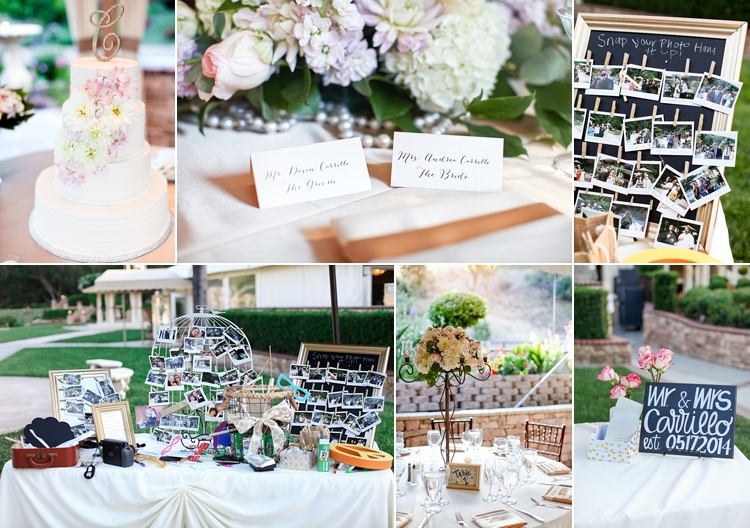 Tell Us About The Wedding Ceremony & Wedding Details! 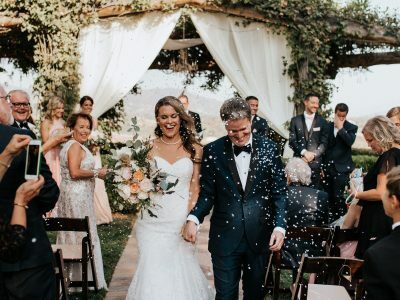 I loved our wedding officiant, he was so easy going and let me design my perfect ceremony, which included me writing exactly what I wanted everything to say. He memorized it, so it wasn’t like he was reading off a paper and delivered everything with his touch of personality to it. We did a wine blending ceremony that involved mixing a red and white wine together to symbolize two becoming one. And we wrote our own vows, which I highly recommend to everyone getting married because it makes it that much more special for the two of you. I was able to throw in a little shout out to Howard Stern, Devin’s absolute favorite thing to listen to, and he added in a bit about getting me my towel every morning, which is something I would constantly call out for him to do before stepping out of the shower. I found a poem called “He Never Leaves the Seat Up” by Pam Ayres and had my best friend read it. The wedding ceremony had people laughing and crying which exactly what I had hoped for. I am a paper person, I absolutely love a good wedding stationary so I loved our invitation suite. It was hand lettered by a calligraphy artist and then letter-pressed into the paper, it turned out fantastic. 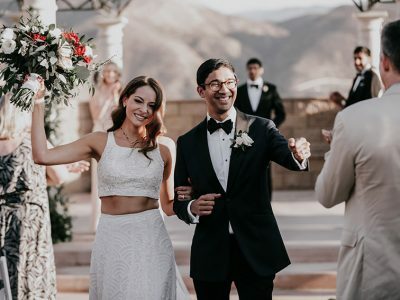 The wedding florals were gorgeous to, they were just what I wanted but not too overly priced, I really tried to be budget conscious when I could. Los Willows has a bridal salon onsite so it was really nice to spend some time with my girls getting ready for the ceremony before moving to the bridal suite where I got dressed and took photos. We didn’t have to worry about cleaning up our mess for the wedding photos because it was all in the salon! Our first dance was to Everlong by Foo Fighters, it’s been our favorite song and we’ve seen them in concert too many times to count. I had a father daughter dance to a cover of Forever Young and Devin and his mom had a mother son dance. 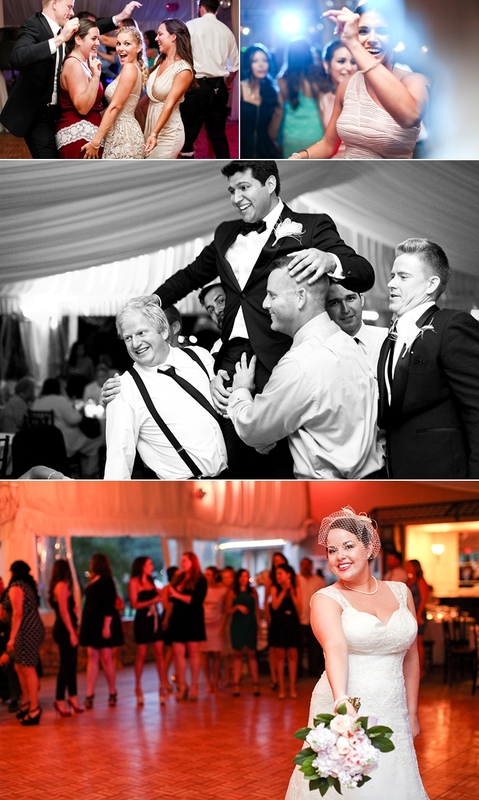 What Was Your Most Memorable Wedding Moment At Los Wilos? The most memorable moment would have to be the first kiss! It’s one of those things where I had kissed Devin for 10 years, but something about this time, after we exchanged wedding rings and read vows to each other that I will never forget. It’s also nerve racking having an audience watching you, you don’t want to be inappropriate, but you want more than a peck, haha! Did You Face Any Challenges Wedding Planning? I was planning my wedding long distance so I had to make sure to be very thorough and detailed in emails about everything. The venue had a last minute change on the cake vendor that I only found out about after sending several emails about needing to go over the cake design. Luckily I was coming back out to California for my Bridal Shower so was able to do a new cake tasting and meet with her in person, but had I not been following up I could have ended up with a Costco sheet cake! Any Advice For Future Brides-To Be? Get that extra hour! My biggest regret is that our wedding ended so soon. With over 170 guests we barely had time to take photos, eat and say hello to everyone. We maybe got to dance to like 2 songs before it was over. I thought 5 hours seemed like plenty of time, but it really does go by that fast. 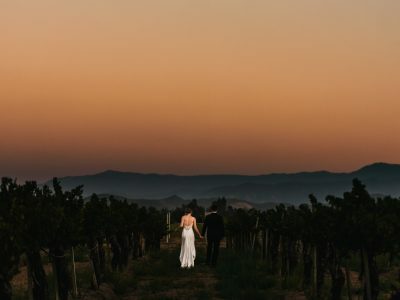 Those interested in checking out more weddings from Lovisa Photo can check out this awesome ranch inspired Temecula engagement session! 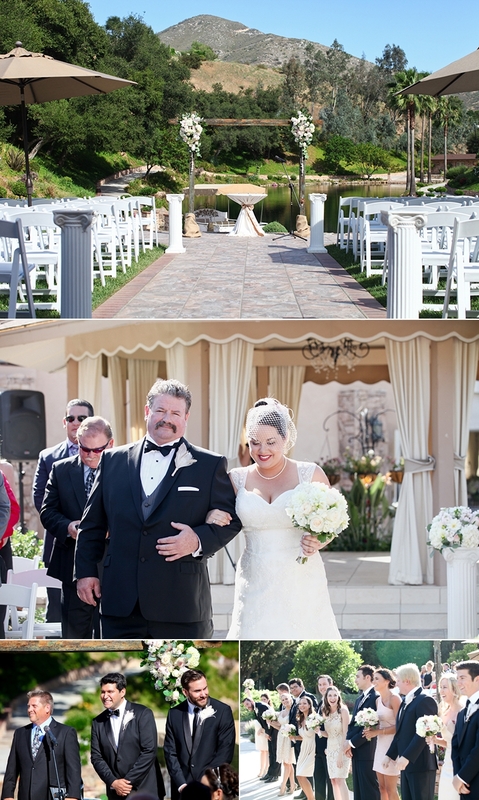 Also, check out this recent wedding at Falkner Winery for more Temecula wine country wedding inspiration! 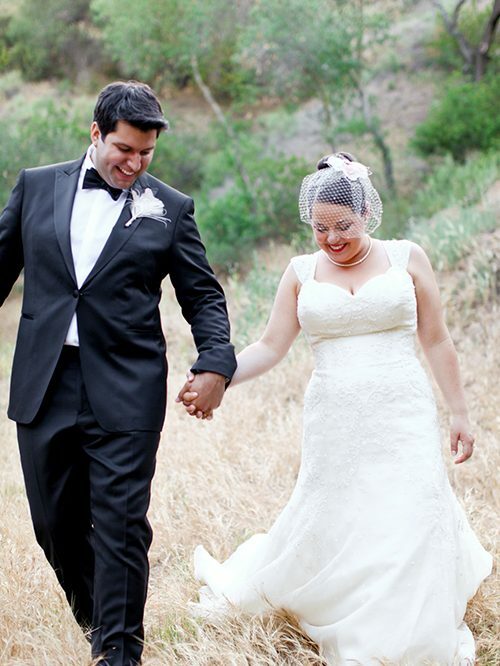 Thank you so much for featuring Devin & Andrea's beautiful wedding day! There was so much joy between these two and I was so honored to be able to capture it for them! 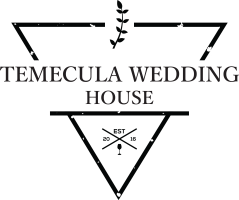 Your resource for planning a wedding in Temecula, California!